All perennials, trees, and shrubs are subject to availability. If you are looking for a specific variety or color please call for availability. 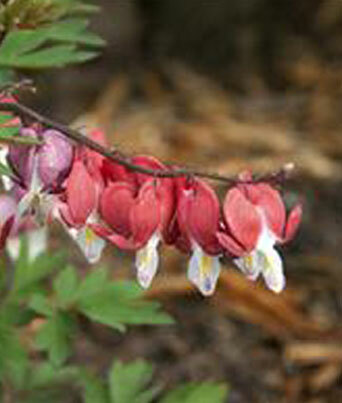 A true bleeding heart that’s really red, vigorous plants quickly form dense clumps of attractive plum-green foliage and dark red stems, arching stems of dangling red heart-shaped flowers bloom spring.